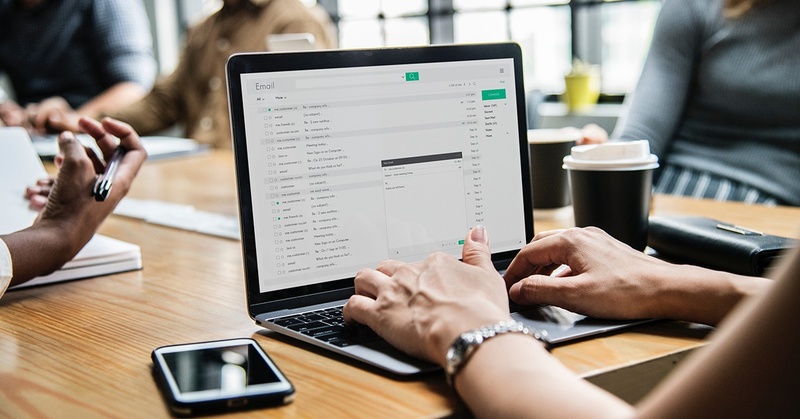 Learn what email marketing best practices you should be implementing for your Inbound marketing strategies in 2019. It's been projected that by 2021, the number of emails sent and received each day will grow to 320 billion. That is an almost inconceivable number of emails with the potential to drive sales for businesses. If you want to take advantage of eCommerce email marketing benefits, I have outlined four email marketing best practices that won't fall irrelevant any time soon. Segmenting your emails is more important than ever. If you’re not segmenting your emails, it means that you’re not reaching the right customers at the right time in their buying process. This is one of the easiest email marketing mistakes to fall into, but don't let it happen! Segmenting emails based on location, consumer behaviors and/or customer lifetime value allows you to target specific customers and messages directly for them. This ensures that the emails you send out are relevant to the people receiving them. Because, let’s face it, who really wants to receive an email from Wedding Paper Divas when they’ve been married for almost two years? Start simple and try segmenting your first email based on people who have opened your previous email versus people who haven’t opened your most recent email. You can send a targeted message to the people engaged with your email marketing, and then separately target the people who are not engaged and provide them with reasons why they should re-engage with your emails. Humanizing your brand is a phrase you’re probably familiar with by now, but it’s true. Who wants an email delivered by something that sounds like spam or that is tailored for the masses? Personalized is not only one of the email subject line best practices, but can happen anywhere in your email, and it’s great because it is minimal effort and your recipients will appreciate it and feel more inclined to engage. Start simple and try adding personalization tokens to your email subject lines, or if you really want to take your email marketing to the next level, start sending out personalized follow-up emails. They’re a great way to receive feedback while reinforcing to your recipient that they matter. Don't be afraid to ask for feedback from your subscribers. After all, who knows what they want better than, well, themselves? This is a great way to figure out what is working and what is not within your emails and the content you're publishing. Asking for feedback from your recipients will make them feel more valued, which in turn makes you seem more trustworthy. It is truly a win-win. Buyers appreciate honesty, and so should you as a seller. Would you ever serve a brand new recipe at a party without tasting it first? What if the first try wasn’t good, would you remake it or serve it anyway? The same thought process can and should be applied to your email marketing. Test everything from subject lines, to email template layouts, to call-to-action buttons. This is the only way to make sure you’re sending the most optimized emails possible. If you don’t A/B test, how do you know what’s really working? Start simple and test your subject line for open rate. Almost any email provider, like Constant Contact or MailChimp, will provide you with easy instructions on how to run an A/B test on their platform. Remember, email marketing is just like any other aspect of digital marketing: it’s constantly changing! Are you curious to know how we stay up to date on marketing industry changes and best practices? Contact us today! We’d love to hear from you.